Kiwi for Gmail 2.0.5 – Turns Gmail into a full-powered Desktop client. Next story iStatistica 4.0 – Advanced system monitor. Previous story CleanApp 5.1.3 – Application deinstaller and archiver. 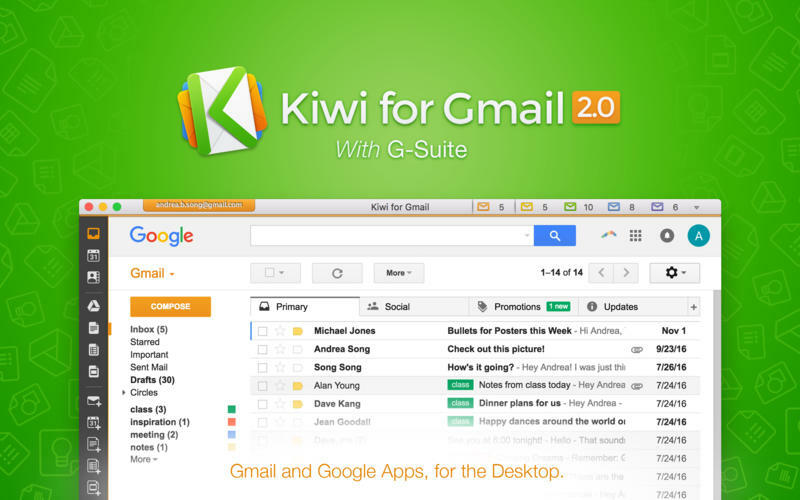 Kiwi for Gmail 2.0.4 – Turns Gmail into a full-powered Desktop client. Contacts Sync for Google Gmail 6.5.3 – Allows you to sync your Gmail and Mac contacts.